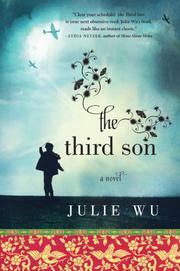 Wu’s debut convincingly depicts a third-born son’s struggle to overcome his feelings of worthlessness and insecurity as he journeys from Taiwan to America in pursuit of freedom and accomplishment. Saburo’s father is a prominent businessman and politician, and the family reaps the benefits of his position in Japanese-occupied Taiwan. Eight-year-old Saburo realizes that, as the third son, he'll never attain an exalted position within the family; in fact, he’s the family’s scapegoat. Each day when he returns home, he’s beaten, berated and accused of causing his younger brother’s death, and although the young boy inwardly questions why he’s the object of so much hatred, he accepts his treatment. In the midst of a World War II air raid, Saburo saves a girl’s life. He’s immediately smitten by Yoshiko’s beauty and frequently dreams of her, but many years pass before they meet again. The intervening years harbor a new era in Taiwan: Chiang Kai-Shek’s Nationalists are the ruling force in the country, and those who oppose their policies face death. Meanwhile, Saburo has suffered further misfortune and abuses. He’s denied the educational opportunities his other brothers are given and must work to educate himself; he’s bitten by a venomous snake; and he almost dies of malnutrition when his mother denies him a fair portion of the family's rations. When Saburo and Yoshiko cross paths again, she's not only more beautiful than he remembers, but she’s also the object of his oldest brother Kazuo's desire. Saburo’s Uncle Toru, a guiding influence in his life, encourages his nephew to pursue his dreams, and Saburo finally takes his advice to heart. His persistence wins Yoshiko over (although it increases Kazuo's hatred toward him) and provides Saburo with the impetus to work toward his educational goals. Against all odds, he becomes the student from his county to receive a coveted invitation to study in the United States. Although he must leave Yoshiko and his infant son behind, Saburo makes the journey and faces new challenges—including his loved ones' illnesses, the threatening presence of Chinese agents who monitor his moves, racism, and decisions about his personal and professional future. Each obstacle serves to strengthen Saburo's resolve to become a financially independent and emotionally strong husband, father and person. Wu presents an alluring story that hits all the right emotional buttons and maintains readers’ empathy from the first page to the last.